I’m working on a project to build the zine collection at the UMass Dartmouth Claire T. Carney Library Archives and Special Collections – read more below, and spread the word to all your friends that make zines! 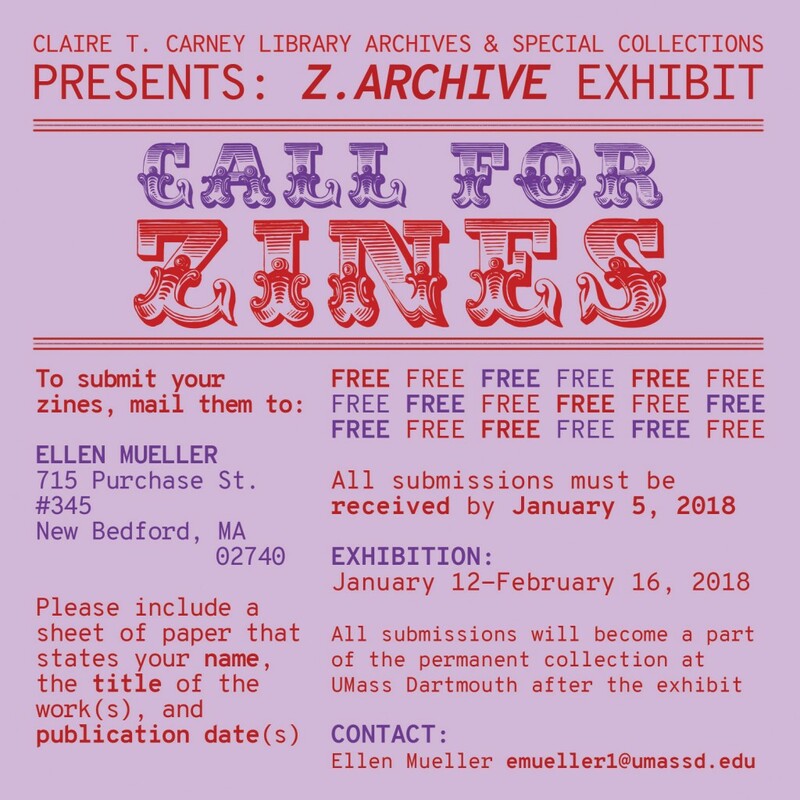 Artists and designers are encouraged to submit their zines to the inaugural “Z.Archive” exhibition at the UMass Dartmouth Claire T. Carney Library Archives and Special Collections, January 12 – February 16, 2018. 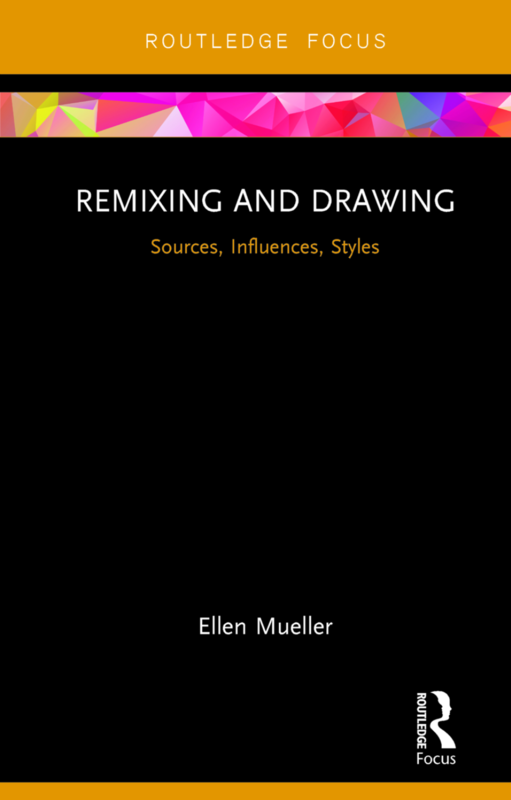 All submissions to the exhibition will be displayed, and become a part of the growing permanent collection of zines at UMass Dartmouth. Zines are self-published, small-circulation, handmade magazines or books; they often cover unconventional topics. Include a sheet of paper that states your name, the title of the work(s), and a publication date(s). All submissions must be received by January 5, 2018. There is no fee for submission.